Einstein believed that there was an equation for a Unified Field that could explain the reason for everything in existence. With this knowledge, time, space and even humanity's origin could be deeply understood. Just as the waves are continuous with the ocean. 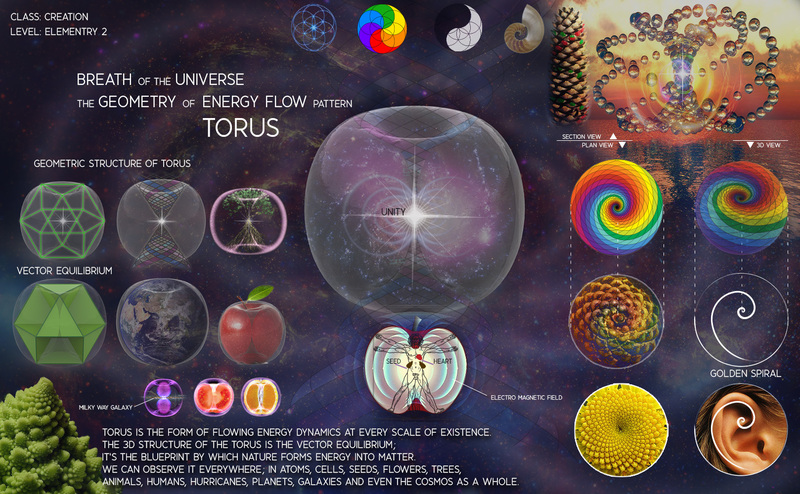 Your body is continuous with the total energy system of the cosmos, and it's all you. New evidence is beginning to show us that everything is Energy and the result of an indiscernible sound wave or frequency. Vibrational frequency creates the energy that becomes solid matter. Galaxies, planets, plants, animals and humans are all just waves of vibration of this Unified Field. In essence, we are literally United and One at the core! The Universe is connected and alive and we are a part of the metric of space. 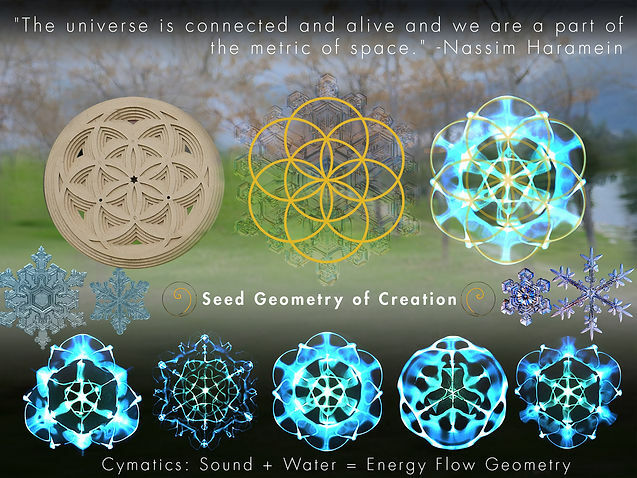 Nassim Haramein, the Director of Research at the Resonance Foundation, was deeply inspired by Einstein and continued to pursue Einstein's idea that geometry held the key to creating a unified equation for the Universe. He proposes that space is not empty, but rather full of untapped energy. This action, reaction, and connection between the energy present in space is creating a dynamic flow in the Universe. Simply put, it could be thought of as "the Universe is dancing with energy”. Geometry will draw the soul toward truth and create the spirit of philosophy. Learn how to see. Realize that everything is connected to everything else. It’s not a coincidence that human hands & tree branches have the same fractal growth patterns or that our hearts & the Earth have the same toroidal-shaped electromagnetic field. Even our embryos contain the fundamental geometries of star clusters and galaxies. Patterns are always present when our eyes are open. Every single system in nature uses fundamental mathematical languages as a template for growth. 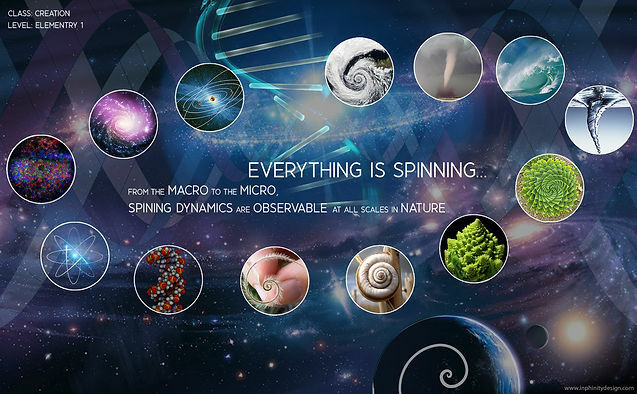 We can find all kinds of mathematical formulas and sequences in nature, such as the Golden spiral/ratio or Fibonacci sequence/numbers in pineapples, sunflowers, tornado formations and even galaxy arms. I’ve learned that visualization & attention are key in spiritual growth. They are fundamental in many energy practices such as Qigong, Tai-chi and Reiki. 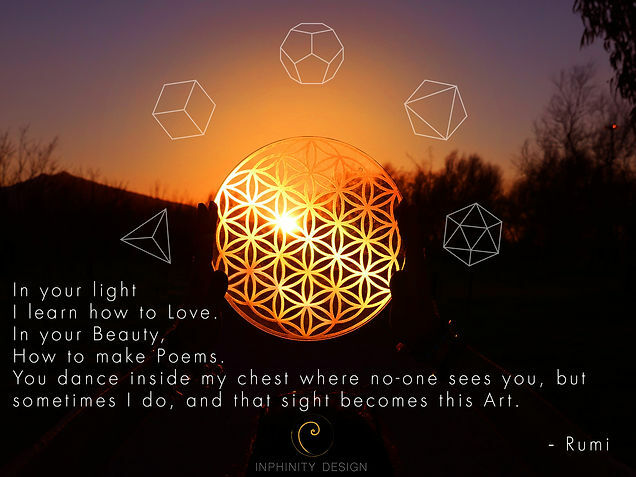 Creating designs based on Sacred Geometry help us to visualize, touch and play with Universal Energy formations, giving us direct communication with the divine. 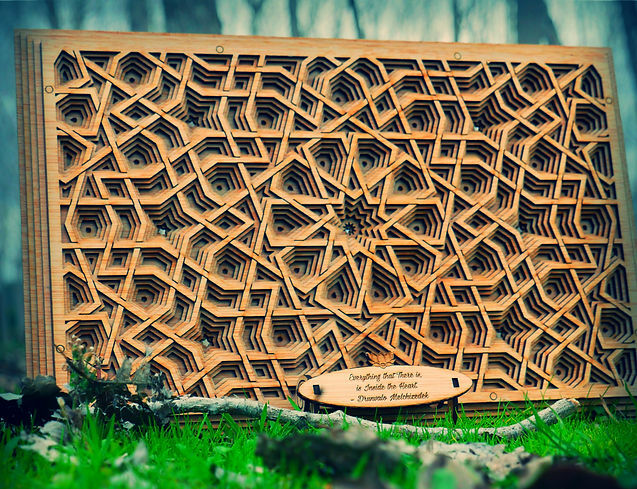 This is a meditative art that can help us find resonance with our inner and outer lives. Eventually this intention brought me to develop my dream project, Inphinity Design, where we can able to develop and share this deep and meaningful experience with everyone by creating personal communication tools and crafts for seekers. For the first time in human history we have technology to create precise patterns without any error or mistake. Thankfully there are laser machines available for everyone to produce any possible design from a collective digital platform to the physical world. The possibilities are infinite when it comes to creating art pieces, tools, crafts, toys or even small size constructions wherein we can meditate or experience the harmonious presence around us. These limitless possibilities inspired me to take action, and as a result, I began developing Healing HeArt to gain enough support in order to lunch my design studio with the intention to share this inspirational art with everyone. 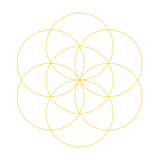 As Sacred Geometry reflects the potential of the collective, we can also create amazing innovations together and support various artists with our collaboration. Thank you All, for your enlightening Beings.